Chiropractic Services From Christensen Chiropractic Clinic, P.C. Christensen Chiropractic Clinic, P.C., helps people of all ages with a variety of conditions. Our services range from adjustments for low back pain to nutritional counseling. Our doctor here in Carroll IA has been a practicing chiropractor for 23 years and uses a wide variety of techniques tailored to your individual needs. Chiropractic adjustments are often still the best choice for the non-invasive care of problems such as low back pain caused by herniated discs or sciatica. 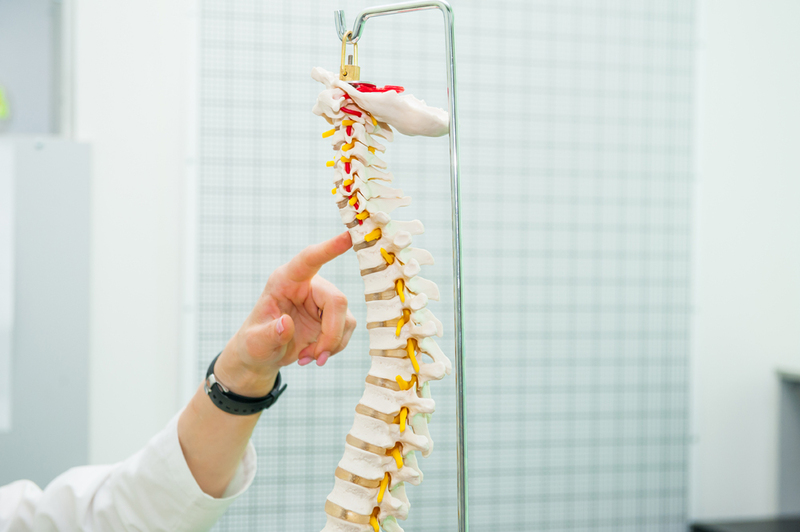 We offer a variety of techniques, such as the Activator technique, Thompson Drop, traditional spinal adjustments, and more. Modern techniques are more comfortable and effective than ever, and we customize every treatment plan for your unique needs. Acupuncture is widely used to relieve pain, as well as treat certain other conditions. Commonly, it involves using thin needles to stimulate certain areas of the body. However, there are other forms of treatment that are very similar which use pressure, electric, or thermal stimulation instead of needles. Every part of your body affects the function of every other part. In many cases, one part of your body not doing its job right can cause multiple issues that are ultimately related to weak, inflexible, or otherwise compromised soft tissue. Corrective exercises are designed to help strengthen muscles that need building up and help flex muscles, tendons, and ligaments that are too tight. Corrective exercises are often used in conjunction with chiropractic adjustments because the surrounding soft tissue must be able to support the joint if it is to stay in position permanently. Many people are inadvertently causing themselves problems simply by sitting, standing, or moving the wrong way. Devices such as chairs with improper support, computer monitors at the wrong height, and more can seem minor but may cause major problems. We can help you figure out which parts of your environment may be contributing to your issues and how they can be corrected. Obesity is a major strain on the body, and even thin people cannot be properly healthy if they are eating a poor diet. Chiropractors are holistic practitioners, and nutrition is a large part of maintaining a healthy state of being. Because we know that 'dieting' does not work, we offer nutritional counseling that enables you to make sustainable changes in the way that you eat, forever. Losing even a small amount of weight can have significant health effects, such as reducing pain by taking some of the strain off of your joints. Christensen Chiropractic Clinic, P.C., is located in Carroll IA and offers chiropractic care for a variety of conditions, including low back pain, sciatica, herniated discs, joint pain, and other injuries. To make an appointment with our chiropractor, call 712-775-2777 today.